In 2010, creator and artist Vicente Alcázar made a decision that would change both of our lives forever. He read over the first scripts for M3 and agreed to take this insane journey with me. 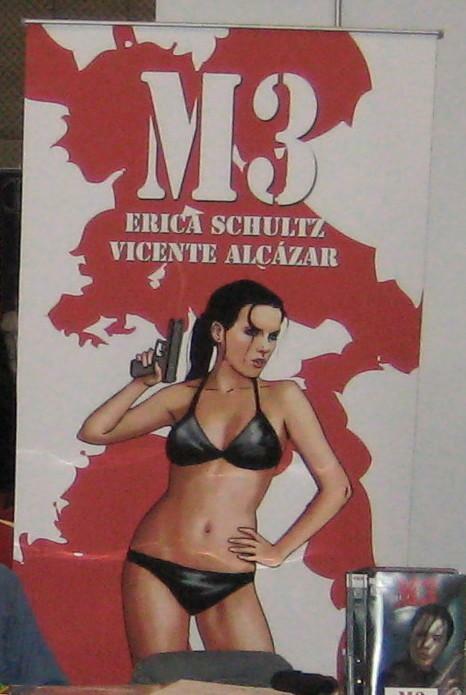 We self-published the work and launched M3 with issues one, two, and three (as seen on our banner below). A little racy, I know. We were very excited about M3, and we were fortunate to get a great buzz going just before the con, thanks to Roberto Alcázar and his team at EO Integration. Since it was my first foray into comics, I was very nervous. Would people like our triple named heroine? I knew they’d love the art, but would the story be well received? Vicente had already had a long career with both Marvel and DC Comics, but the U.S. convention scene was a bit new to him, so we both had our issues. Vicente takes a break from drawing Jonah Hex to join me in getting a little goofy. That said, we soldiered on, and, ultimately, M3 brought both of us a lot of great opportunities. Vicente got back into the comics world from a nearly 30 year hiatus, and I’ve had the great fortune to work with Marvel Comics, DC Comics, Dynamite Comics, and more! So to celebrate the 5 year anniversary of M3‘s launch, we’re re-releasing the first three issues in a trade paperback form titled, “Impulse.” And to really kick it off, the first print run of M3 Impulse will be limited to 500 copies with an exclusive new cover by Patch Zircher (Green Arrow, Captain America). This new volume also includes updated interior art by Vicente, the entire first script along with scans of Vicente’s original page-by-page layouts! M3 Impulse will debut at the Salt Lake Comic Con for $15. 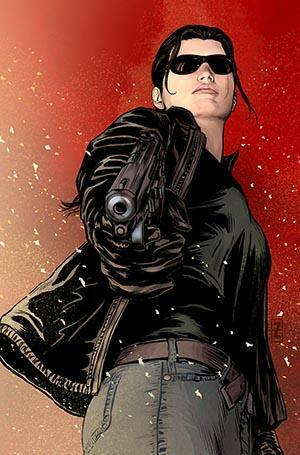 M3 “Impulse” cover by Patch Zircher. We’ll be re-releasing issues 4-6 in a new trade titled, “Motives.” This new trade will have a cover by Dave Acosta (Twilight Zone/The Shadow, Vampirella and Jennifer Blood), more updated interior art plus other extras, and it’ll be out later this summer. Lastly, we’ll wrap up with two more trades for issues 7-9 (“Recoil”) and 10-12 (“Generations”). We’re hoping to have those by NYCC 2016. So to those of you who have already bought M3, thank you for the support! If you haven’t taken this journey with us yet, please pick up M3 “Impulse” at Salt Lake Comic Con or a convention near you. And if print isn’t your thing, you can always pick up M3 on Comixology. Thanks for making a dream come true!